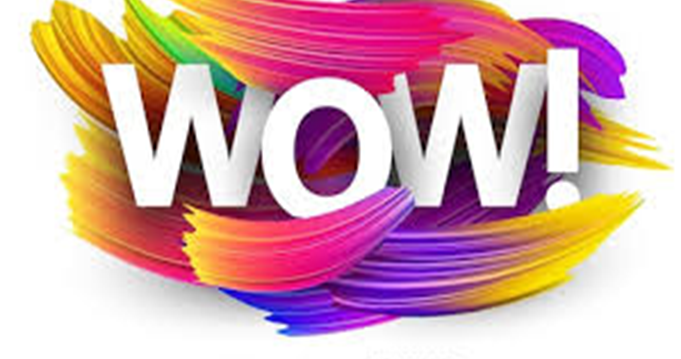 Weston Youth Services is pleased to offer WOW! After-School programs for students in Kindergarten through Second Grade at Hurlbutt Elementary School. Please note that enrollment is limited in order to keep class size small and classes will be filled on a first-come, first -served basis. If your child was waitlisted from a program in the winter, and that class is being offered in the spring, you will have the opportunity to register only for that class from 10:01 p.m. on Tuesday, March 12th through 11:59 p.m. on Wednesday, March 13th If you do not register during this early registration period, we cannot guarantee your child a space in that class. A link will be emailed to any individuals eligible for early registration. If you do not have an account established with Weston Youth Services, you will need to set up an account online once the registration systems opens at 10:01 p.m. on Tuesday, March 19th The system will ask for your email address and generate a temporary password which will then be emailed to you so you can proceed with registration. The password can be changed at a later time. Classes begin the week of April 22nd and run through the week of May 27th, unless otherwise noted. All classes are scheduled from 3:15 pm – 4:15 pm unless otherwise noted. Please check individual programs for descriptions, grade eligibility, room assignments, start dates, and program end times. Alternate dismissal notes must be sent, in duplicate, every week to your child’s teacher for each program. Please make a notation on your alternate dismissal notice if anyone, other than yourself is picking up your child at dismissal. Additionally, given our unpredictable Weston weather, please indicate what your child’s dismissal plans are in the event of an unplanned after school activities cancellation. In the event of an early dismissal due to inclement weather or any other school emergency, all after-school programs will be canceled and the children will be sent home per school policy. In the event of a cancellation, we will send a reminder via email and also post this information on the Weston Youth Services website. If we are unable to contact you in the case of a last minute cancellation by an instructor, children will stay in the main office with the WOW! Supervisor until a parent arrives. We will make every effort to make up missed classes due to cancellations. There is no nurse on duty after normal school hours. In the event of illness or emergency treatment, we will call 911 and then contact parents, or the emergency contact if necessary. If your child has any special medical needs, please contact Charlene Monn prior to the start of the session. If a student is dismissed for disciplinary reasons or withdraws from the school or the program, the parent forfeits the entire program fee. Making music is always a sure way to add happiness to your day, and what better way to do that than to use instruments! Jammin’ with You! is a great way for students to explore new instruments and make music fun. From using xylophones and drums to exploring unique rhythm instruments like the cabasa and vibraslap, we will make great music! Students will have the opportunity to add instruments to their favorite songs and even learn how to play some tunes on the xylophone. Come jam and make some music with us! Jessica Cardamone is the music teacher at Hurlbutt Elementary School. While she enjoys singing and playing games in class, she is very excited to share her love of making music in other ways and styles and is excited to bring this new program to WOW! After a long day of school, why not settle down with this hands-on activities program with Gabriela! Students will work with different materials like cotton, wool, linen, felt, and yarn allowing them to experiment with textures and fabrics. New sewing skills, finger knitting and crocheting, braiding, and much more will be introduced to your child in this class. Students will explore their creativity and craft fun accessories to wear and also make decorations for your home. Gabriela discovered her love of crafts as a child in the Swiss school system. Today she enjoys sewing, knitting, and needlework, and is especially pleased when she sees a child’s enthusiastic discovery of their own creativity. Many students know Ms. Low as a substitute teacher in the Weston school district. Paint Draw & More! is proud of its 20+ successful years as pioneers in children’s art instruction. Paint, Draw & More! allows children to express their creativity, while learning technical skills, and helps to build self-esteem through artistic accomplishments. Drawing fundamentals like shape, contour, design, color and medium are progressively used every week so your child can create new and varied works of art. Our classes are fun, engaging and each project is developed with your child in mind. Whether your child continues in the arts or chooses another path, this creative development will enhance their intellectual growth and understanding of math, history and the sciences. Note: If your child cannot attend the Monday program, we also offer a Friday class! Steve Burke has always been interested in the mechanics of how things work. He was a machinist at a small R+D firm where he worked with a variety of materials. Soon after, he began a home construction company specializing in design, restoration, additions and cabinetry. Using his expertise in design, mechanics, machining, and woodworking, helps broaden students’ perspective and better understand how things work. Note: This is a 1 ½ hour program and ends at 4:45 p.m.
Ratchet up your imagination with tens of thousands of LEGO® parts! Build engineer-designed projects such as: Fire Trucks, Space Stations, Tugboats, and the Eiffel Tower. Design and build as never before, and explore your craziest ideas in a supportive environment. with the guidance of an experienced Play-well instructor in this 1 ½ hour program. There are no prerequisites for this course. Note: For students who have taken this program in the fall and/or winter session, please note that Play-well TEKnologies’ STEM curriculum rotates every session. Special Note: Projects will not go home with the children. Join Judy as she encourages children to explore and discover the mind and body connection in a fun-filled way. Judy takes a creative approach to yoga that can be very helpful for children whose bodies are still developing. The use of animated poses and basic stretching exercises promote strength, flexibility, coordination and body awareness. Breathing and visualization techniques teach children how to focus, relax and develop self-control. Note: If your child cannot attend the Tuesday program, we also offer a Thursday class! Special Note: Students should bring their own yoga mat each week to class. Judy is currently a 500Hr Yoga Alliance registered yoga teacher specializing in Yin, Gentle, Power Vinyasa Flow, Y12SR for Addiction and Thai Yoga Bodywork. Her approach to kids yoga is to “play” yoga with children by integrating storytelling, games, and music that foster a loving environment for movement, concentration, and relaxation. Have you ever made anything with paper pulp? We have and it’s so much fun! We start by using old newspapers, magazines, and paper and let our imagination go wild! Students will have a blast learning how to make paper pulp and turn it into imaginative works of art that include card making, plates, bowls, art paper, and more! A sure enjoyment for your art oriented child! Note: If your child cannot attend the Tuesday program, we also offer a Wednesday class. Meg Murphy, who many of our students know from clay sculpting, is pleased to offer this creative after school program. Meg attended Silvermine School of the Arts where she studied fundamentals of design, drawing, ceramics and metal sculptures. She is also an accomplished stain glass designer as well as a landscape designer. We’re thrilled to have Georgetown Martial Arts return to our spring WOW! programs! This NON-competitive, core-strengthening exercise is good for beginners, intermediates, and advanced students. Sensei David focuses on helping students understand and use martial arts to develop self-discipline, self-control, confidence, focus, and respect for others in a fun and safe environment. Space fills quickly, so don’t delay! Note: Please specify weight and height on the registration form if your child is ordering a white GI- uniform. If your child already has his/her own uniform, the price of the class will be adjusted to $ 96.00. Advanced karate students ordering a black gi should order directly through Georgetown Martial Arts and Sensei Dave. Note: If your child cannot make the Tuesday class, we also offer a Wednesday and Thursday program! Special Note: Students may be invited to test for an advanced belt pending successful completion of learned techniques. Parents will be notified directly by Georgetown Martial Arts. Please know that there is an additional cost for the test, payable to Georgetown Martial Arts, and is not part of the WOW! fee. Sensei David Chapman is the owner of Georgetown Martial Arts. Sensei Dave began his own martial arts training at the age of 9. He studied the arts of Tang Soo Do, Uechi-Ryu in which he holds a black belt. Mr. Chapman also holds a brown belt in Tae Kwon Do and has studied kempo karate since 1994. Sensei also earned the rank of 3nd degree black belt and holds a black sash in Black Tiger Kung-Fu. We can’t teach you to make your little sister disappear—that wouldn’t be right!—but we can reveal the secrets of the professional magician with Nisan, The Magic Genie! Experience the wonder of magic as you learn the ancient art of prestidigitation. Improve your presentation, public speaking, and leadership skills, build self-confidence and poise, and develop stage presence. Disappearing coins, reappearing scarves, card tricks, and more magical stuff awaits your Jr. Genie! We promise a truly magical experience. Each week, you’ll receive tricks and materials to take home with you. Note: Students repeating this class will receive new tricks to take home and, with the wave of a wand, will become magical aides for new students. Note: If your child cannot attend the Tuesday program, we also offer a Friday class! Nisan Eventoff, internationally known master magician, has never made his little sister disappear, but he has been known to pull a rabbit out of a hat every now and then. He has appeared in movies, T.V. and theatre. He is a life member of the prestigious “Magic Castle” in Los Angeles. Put on your science goggles and come on a Science Adventure with Mad Science! Scientists will gain a basic understanding of all different areas of science while doing intriguing, hands on, experiments! This program covers everything from cool dry ice to hot air balloons, from dinosaurs to a rocket launch that is out of this world, plus other cool experiments that you can take home. We are excited to welcome back the Chess Club of Fairfield County! This course for beginners builds logical and critical thinking, helps develop patience and concentration, and informs students about the history and evolution of chess strategy. Students will learn the basics of the game of chess, including but not limited to board set up, the value of pieces, elementary tactics, and endgame strategy. After all, who doesn’t love saying checkmate? Note: Returning students are welcome for more advanced training. The Chess Club of Fairfield County offers educational and recreational services for all players from beginners to grandmasters with a common element of an uncompromising dedication to elevating chess. Have you ever made anything with paper pulp? We have and it’s so much fun! We start by using old newspapers, magazines, and paper and let our imagination go wild! Students will have a blast learning how to make paper pulp and turn it into imaginative works of art that include card making, plates, bowls, art paper, and more! A sure enjoyment for your art oriented child! Note: If your child cannot attend the Wednesday program, we also offer a Tuesday class. We’re thrilled to have Georgetown Martial Arts return to our spring WOW! programs! This NON-competitive, core-strengthening exercise is good for beginners, intermediates, and advanced students. Sensei David focuses on helping students understand and use martial arts to develop self-discipline, self-control, confidence, focus, and respect for others in a fun and safe environment. Note: Please specify weight and height on the registration form if your child is ordering a white GI- uniform. If your child already has his/her own uniform, the price of the class will be adjusted to $ 96.00. Advanced karate students ordering a black gi should order directly through Georgetown Martial Arts and Sensei Dave. Note: If your child cannot make the Wednesday class, we also offer a Tuesday and Thursday program! Food, Fun, and Games has been so well received by students this year and we’re excited to see what fabulous things the students will make this spring! Children love to cook and are drawn to preparing food with an amazing sense of curiosity and respect. The most effective way to have children embrace healthy foods is to give them the opportunity to prepare it with their own hands and have a pride of accomplishment. In Food, Fun and Games, students in Grades K-2 will get involved in preparing and eating healthy foods such as “salad people”, confetti rice with vegetables, and lots more. Through games, songs, and stories, coupled with tastings, students will expand their knowledge and have an appreciation for healthy eating! Special Note: This is a 1½ hour program and ends at 4:45 p.m.
1 ½ hour program, even without any prior experience with Minecraft or LEGO® materials. Note: Projects will not go home with students! We’re thrilled to have Georgetown Martial Arts return to our winter WOW! programs! This NON-competitive, core-strengthening exercise is good for beginners, intermediates, and advanced students. Sensei David focuses on helping students understand and use martial arts to develop self-discipline, self-control, confidence, focus, and respect for others in a fun and safe environment. $ 96.00. Advanced karate students ordering a black gi should order directly through Georgetown Martial Arts and Sensei Dave. Note: If your child cannot make the Thursday class, we also offer a Tuesday and Wednesday program! Come join Judy Orr as she encourages children to explore and discover the mind and body connection in a fun-filled way! Judy takes a creative approach to yoga that can be very helpful for children whose bodies are still developing. The use of animated poses and basic stretching exercises promote strength, flexibility, coordination and body awareness. Breathing and visualization techniques teach children how to focus, relax and develop self-control. Note: If your child cannot attend the Thursday program, we also offer a Tuesday class! We can’t teach you to make your little sister disappear—that wouldn’t be right!—but we can reveal the secrets of the professional magician with Nisan, The Magic Genie! Experience the wonder of magic as you learn the ancient art of prestidigitation. Improve your presentation, public speaking, and leadership skills, build self-confidence and poise, and develop stage presence. Disappearing coins, reappearing scarves, card tricks, and more magical stuff awaits your Jr. Genie! We promise a truly magical experience. Each week, you’ll receive tricks and materials to take home with you. Note: Students repeating this class will receive new tricks to take home and, with the wave of a wand, will become magical aides for new students. Note: If your child cannot attend the Friday program, we also offer a Tuesday class! Paint Draw & More! is proud of its 20+ successful years as pioneers in children’s art instruction. Paint, Draw & More! allows children to express their creativity, while learning technical skills, and helps to build self-esteem through artistic accomplishments. Drawing fundamentals like shape, contour, design, color and medium are progressively used every week so your child can create new and varied works of art. Our classes are fun, engaging and each project is developed with your child in mind. Whether your child continues in the arts or chooses another path, this creative development will enhance their intellectual growth and understanding of math, history and the sciences. Note: If your child cannot attend the Friday program, we also offer a Monday class!